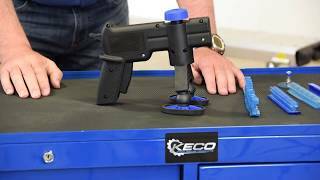 The KECO K1911 Dent Gun is an ergonomic mini lifter that allows pulling in a natural position. The lightweight mini lifter includes both a free pull and a ratchet setting for constant pressure, a 360-degree rotating base, and rubber feet that pivot 30 degrees and rotate 360 for precise alignment and to prevent marring. Replacement swivel socket for KECO Robo lifter and K-Beam. The socket attaches to the Robo assembly and the snaps over the Robo foot swivel ball . My go to and favorite lifter on a daily basis. To big! handle needs to swivel! Hard to pull on side panels! When i pull the tabs they fall all over the place no tab control! New to glue pulling. I have a few used doors and practicing small and large tabs. The glue temp ranges and set time would be a nice tool tip if studies are available ? At first I was a little awkward with the gun, but after an hour or so I really started to like it, a lot! I love the way you can turn it any way that you need it. I also like e racheting mechanisms. The feet are really nice too. 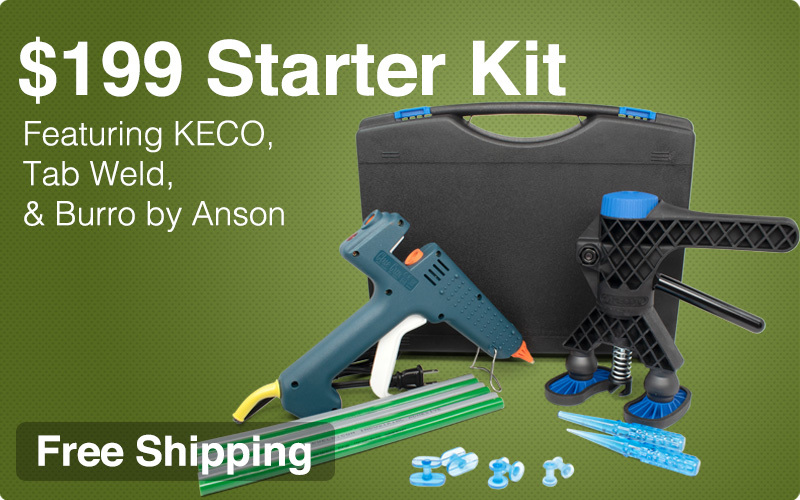 It's great, thank you so much for great addition to my glue pulling set!